Compiled by Guest Editor WhiteFeather Hunter, the Material Futures issue unpacks productive “troubling” of the processes and materials that creative fields and practitioners engage with. This troubling is done via re-visitation or reclamation of traditional art/ craft/ design methodologies and topics, as well as innovating within critical materiality, #futurecraft or future-now initiatives. 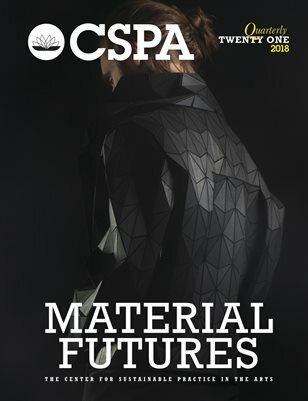 Circular design, carbon negative/ zero waste production, materials science and biomaterials, and disruptive technologies are research-creation-production foci that mean to shift away from trends in over-consumption and the unsustainable towards recuperative, remedial, regenerative paradigms and practices.